Once known as “Little Paris,” București or Bucharest is Romania’s capital, rich with storied history that merges with its modern identity. The confluence of architecture is dizzying yet fascinating. Byzantine buildings; 16th-, 17th-, and 18th-century churches; Art Nouveau mansions; and Neoclassical facades survived earthquakes, war, and later, communism. During that political era, block panel masonry left its imprint, as well as the gargantuan Palace of the Parliament, the prized creation of former dictator Nicolae Ceausescu. The charm of Bucharest is revealed by exploring its sprawling city parks, admiring the works at its excellent museums, and getting “lost” in the gritty yet charming lanes that weave through the Old City. 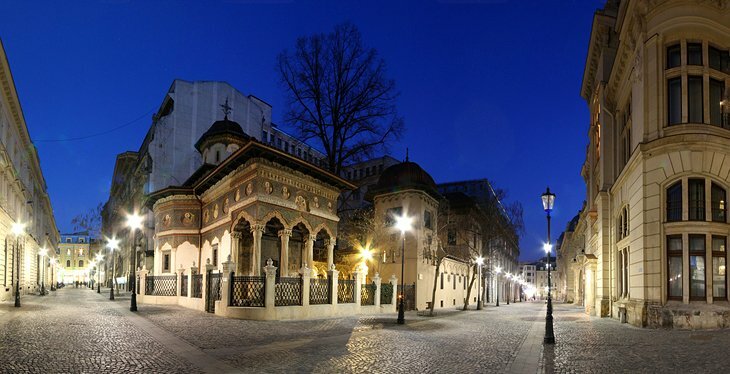 A stroll down Calea Victoriei, arguably the prettiest street in the city, is an encounter with the country’s grandest buildings and meaningful monuments, all a testament to times gone by. Exploring Bucharest is about understanding its complex past that is giving way to its modern sensibility as a booming European capital. The Palace of the Parliament is one of the top tourist attractions in Bucharest. It is the world’s second largest administrative building (after the Pentagon), an architectural colossus that also claims title as the heaviest building in the world. 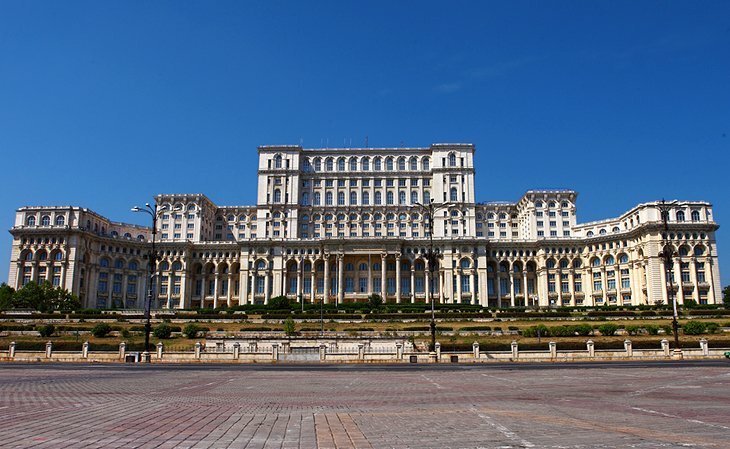 Boasting more than 3,000 rooms over 330,000 square meters and constructed with marble and steel, it was originally called the People’s House by its visionary, the former dictator Nicolae Ceausescu, who used it as his family’s residence and as the seat of his government. To complete it, he razed places of worship, workshops, factories, parks, part of the Old Town, and entire neighborhoods. 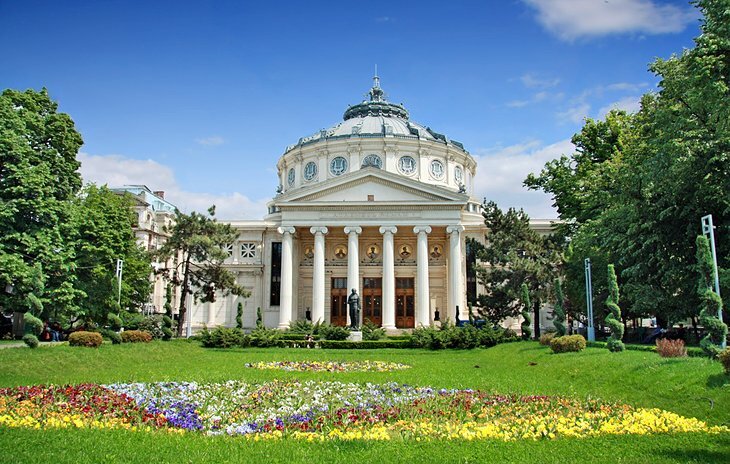 More than 20,000 workers and 700 architects worked on the opulent Neoclassical-style palace over a span of 13 years while Romanians faced poverty. Still unfinished, a small portion houses Romania’s parliamentary headquarters and the National Museum of Contemporary Art. Scheduled tours bring visitors up close to its vastness, the kitsch, and the outrageous luxury Ceausescu would have continued to experience had he not been overthrown in a coup d’état. 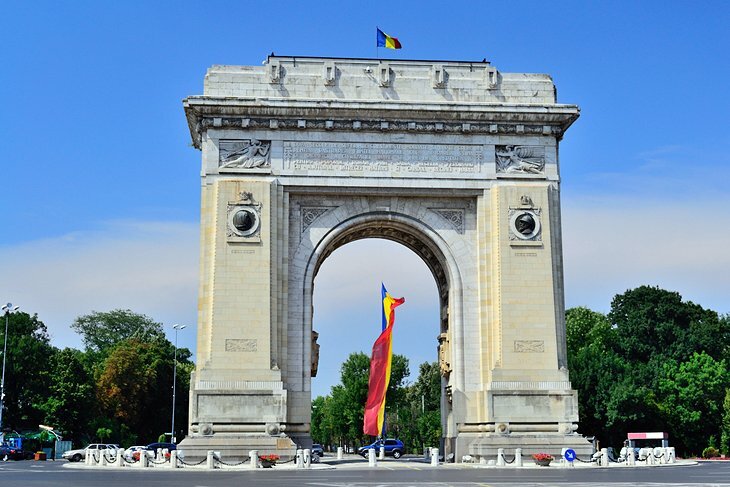 Finished in 1922, Bucharest’s first Arch of Triumph was made from wood and dedicated to the Romanian soldiers who fought in World War I. In 1936, it was reconstructed in granite and designed by architect Petre Antonescu at a height of 27 meters. The arch is adorned with sculptures created by the most notable Romanian sculptors, including Ion Jalea and Dimitrie Paciurea. It continues to serve its purpose of being the central point for military parades. Romanian soldiers march beneath it for big events, including the first of December, which is the country’s national holiday. Founded in 1936, this unique open-air museum stretches through leafy Herastrau Park and depicts the traditional way of life in Romania. 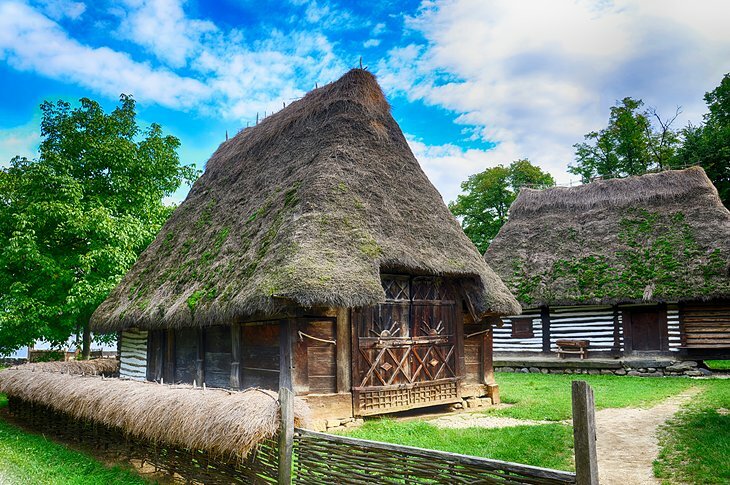 Visitors can wander through 300 traditional buildings, including peasant homes with steep roofs, thatched barns, heavy log cabins, various types of churches, workshops, and mills – all of which have been transported from towns across every region of Romania. Each building was carefully taken apart, shipped to the museum, and rebuilt to be part of the walkable village-like setting in the park. The Village Museum also displays artifacts and pottery as well as other traditional items hailing from around the country.